Christmas Ornament 2014. In the theme of traditional Christmas toys, like the Elves would make. 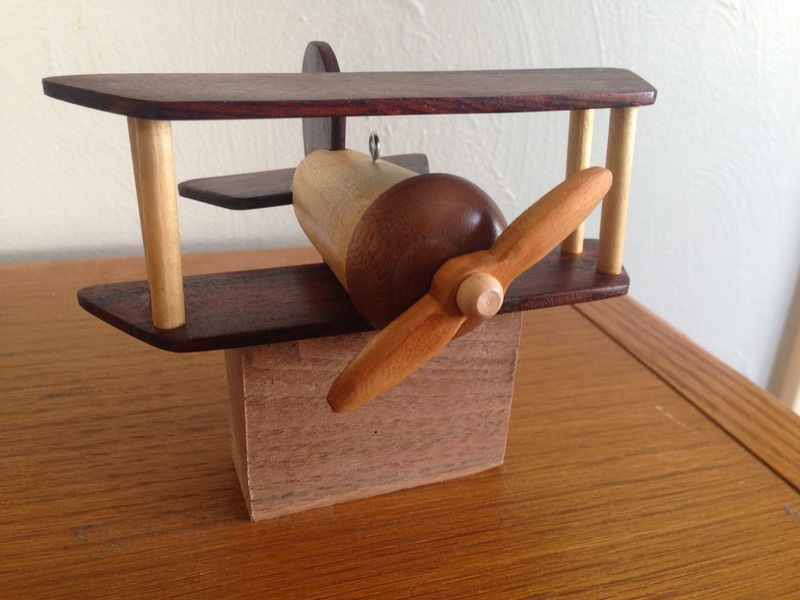 I make this Bi-Plane Ornament from several woods. 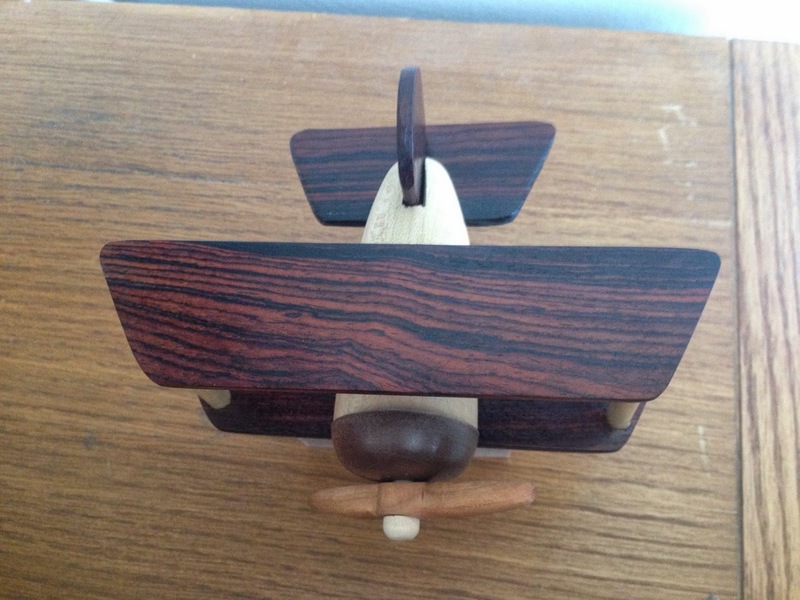 The Wings and tail surfaces are made from thin cocobolo, the propeller is made from cherry, the fuesalage is maple and the engine shroud is walnut. 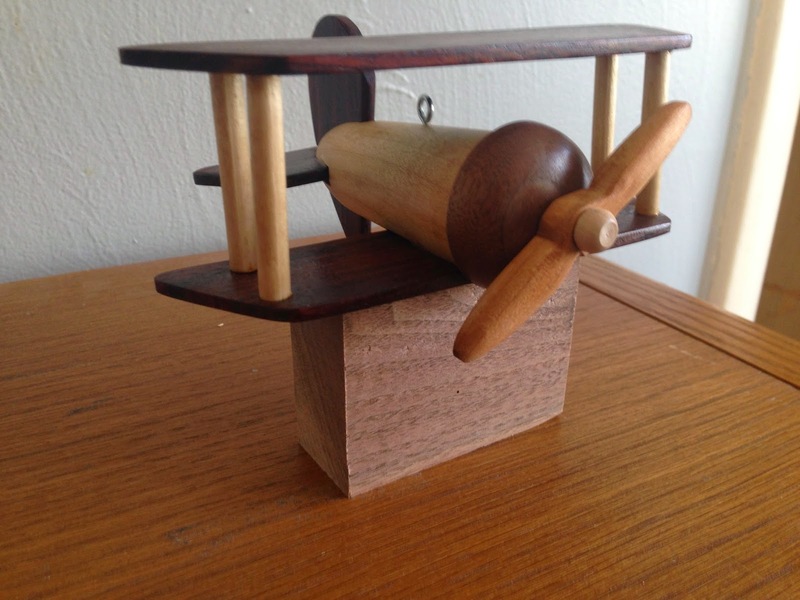 This is my first attempt at eccentric turning. This was a very fun project and I would encourage you all to enter an ornament in this years contest. The details of the challenge are below. Announcing the 2014 Christmas Ornament Woodturning Challenge sponsored by As Wood Turns, Alan Stratton, and Woodshop TV, Carl Jacobson.